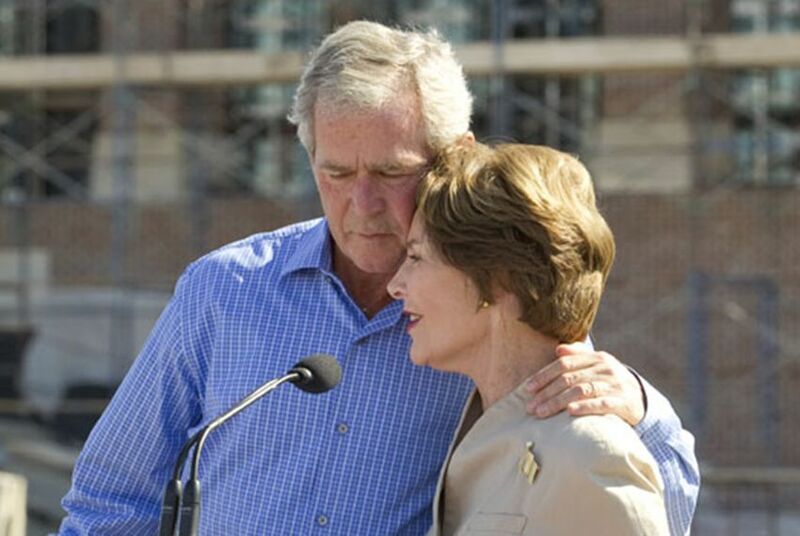 George W. Bush and Laura Bush did not vote for either major-party presidential nominee this year, a spokesman for the former president said Tuesday. Instead, they did not make a selection at the top of the ticket and voted for Republicans down ballot. "They didn't vote for Hillary; they didn't vote for Trump," spokesman Freddy Ford wrote in an email to The Texas Tribune after radio host Rush Limbaugh suggested Tuesday that the Bushes had voted for Clinton. Neither George W. Bush nor his father, fellow former President George H.W. Bush, endorsed their Republican Party's nominee, Donald Trump. But it has been an open question whether they would cast a ballot for Trump — or his Democratic rival, Hillary Clinton. Speculation flared in September that George H.W. Bush was planning to vote for Clinton. His spokesman neither confirmed nor denied reports at the time — or on Tuesday. "We are not commenting on the presidential race," Jim McGrath, a spokesman for George H.W. Bush, said in an email. The voting-age population figure being used by the Texas secretary of state's office to calculate registration and turnout percentages may be off the mark. A record 15.1 million Texans have registered to vote in the November election — a number that eclipses the preliminary estimate by more than 85,000. Texas ranked eighth-to-last in voter turnout for the presidential primaries.